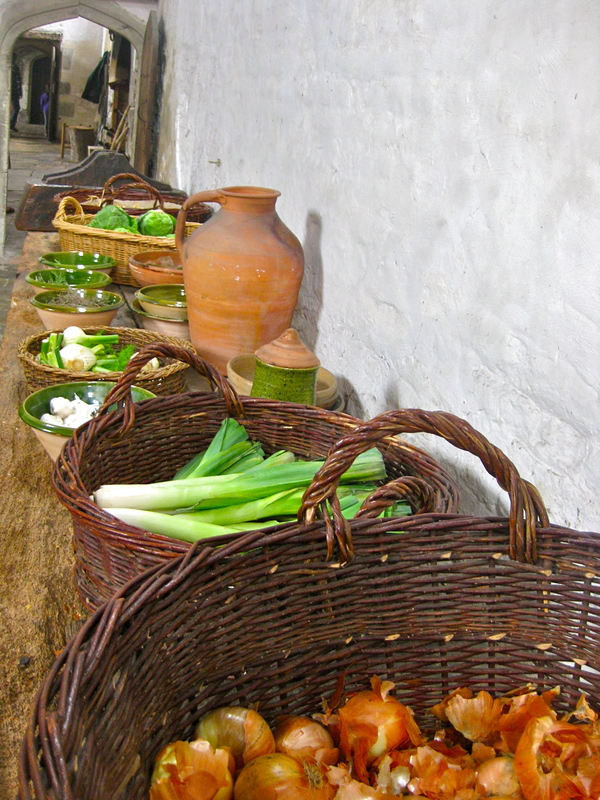 Ever wondered what being a cook in the 1600s might be like? Yeh, me either…but I was rather fascinated by the kitchens in my recent visit of Hampton Court, the palace of King Henry VIII. Of course this isn’t REAL meat sitting there on the bench. It’s all just pretend food. But it gave such a great feel to tour of the kitchen rooms down in the cellar of the palace. I loved the the earthen ware bowls and dishes, I loved the baskets and copper and cast iron. The massive fire places, the ten boiler pots…imagine the blood, sweat and tears that went into that kitchen. 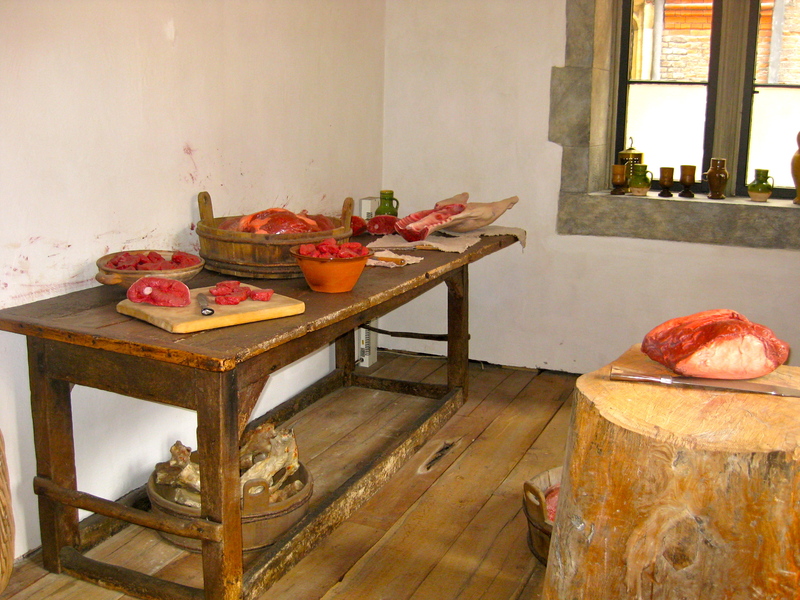 If you’re thinking of visiting London or perhaps live in the UK, there are some pretty cool things to to at the Tudor Kitchens, or perhaps you might just like to read up on what it took to feed a king.